Book Review: Autobiography of a Face by Lucy Grealy. A true real life tragedy of allowing society to lead you in the direction of how you view yourself. My curiosity for Lucy Grealy’s book was raised after reading Truth & Beauty: A Friendship by Ann Patchet, which I originally read because I wanted to read any book that was potentially going to be banned by a college. 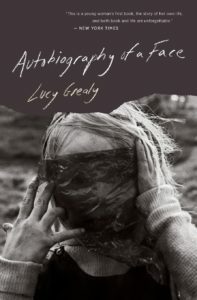 In short, the trail of breadcrumbs led me to Lucy Grealy’s book, Autobiography of a Face. I already had some ideas of what to expect in Autobiography of a Face based on Ann Patchet’s book, as Ms. Patchet’s book was about her friendship with Lucy when she met her in college and their lives after. But I wasn’t ready for the contrast of what Lucy thought of herself, versus how friends had seen her. A very different story, and had I not known the two stories were about the same person and time-line, I may not have ever put them together as such. Lucy wrote of her life as a child, and her distant familial relationships as she experienced a horrifying diagnosis that was kept from her, not intentionally, but by use of different words. The book also delves into her relationship with herself as she developed from young girl into adulthood, as she experienced surgery, chemotherapy, more surgeries, and the cruel world that judged her. Lucy had cancer in her jaw, that led her through horrifying treatments after treatments only to be followed by attempted repair work of her face. 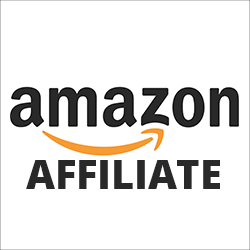 What Lucy experienced is a nightmare, that lasted for decades, and as a result, she judged herself over and over as ugly, unlovable, and strived to be the opposite of her counterparts. She was accepting, loving, and only wanted the same in return. The shocker to me however, was how she saw herself. While reading this book, I decided to see if images of her existed on the Internet. I knew she had died from drug overdose as I read in Truth and Beauty; self destructive behavior from low self esteem that allowed her addiction to take over her mind. Honestly, I expected to see a horrifically disfigured or mangled monster of a face. Something no one dared to look at; grotesque, and disgusting. Yet, as I flipped the page to the last page and there was an image of her right there, I thought, really? But why? She is not ugly at all. But she saw herself as such? How? A tragedy indeed. Lucy was a very beautiful woman, she just never saw herself through anyone else’s eyes but her own imagined self, based on how she was treated as a young child. Yes, school age kids can be cruel, and clearly parents need to do a better job of teaching their children how not to behave, and how not to treat others. The fact that she survived a cancer that only had a 5% survival rate during her time was a miracle in itself, but also a tragedy to have taken her own life inadvertently by means of drugs, used to escape a world that should have never treated her the way it did. If you think you need a nose job, a chin tuck, any modification to your face, or any other body part, then read this first. Lucy left a legacy of how one person’s mind can exaggerate a reality, and make one not see themselves how they really are. We judge ourselves (and others) on appearances far too much.